The Ministry of Agriculture and Rural Development is considering import of eggs to meet the increased demand during Tet holiday season, after a sharp decline in the numbers of poultry and cattle in the country. 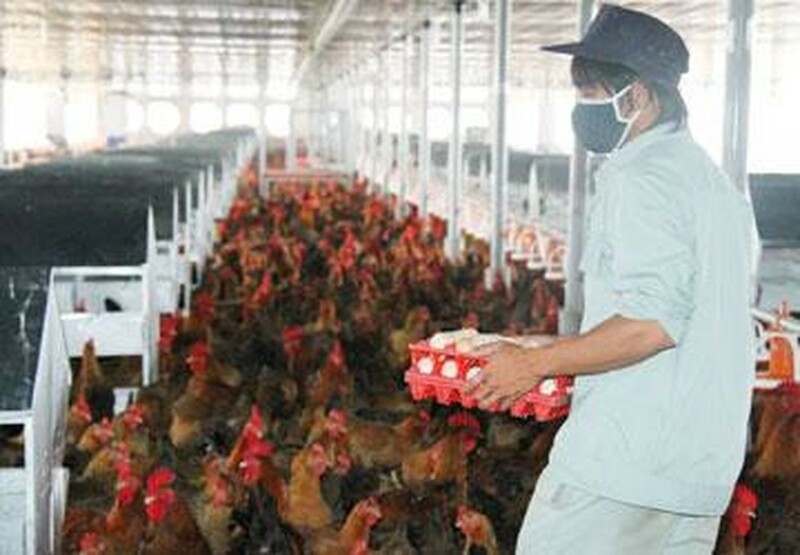 The ministry is ordering its subdivisions to check egg supplies from poultry farms as well as market demand, said Nguyen Xuan Duong, deputy head of the Livestock Department under the Ministry of Agriculture and Rural Development (MARD). MARD and the Ministry of Industry and Trade will discuss whether it should import eggs to meet the demand ahead of Tet. In 2012 and currently, although the numbers of poultry and cattle have decreased, quantity of meat, eggs and milk have increased. Moreover, expected quantity of meat last year increased by five percent. With this increase, supply can definitely meet the domestic demand in Tet holiday season. Some foreign businesses have suddenly increased the price of chicken eggs, causing upheaval in the market in North Vietnam. Several supermarkets confirmed stopping sourcing of chicken eggs from CP Vietnam Corporation after it announced an unreasonable price hike earlier this month. Livestock Product Company CP Vietnam Corporation, based in Bien Hoa 2 Industrial Park, suddenly hiked egg prices. Nguyen Tien Dung, director of Co.opMart Hanoi said at a meeting with the Department of Industry and Trade and the Department of Finance in Hanoi that his supermarket had stopped purchase of eggs from CP since January 15 because of unreasonable pricing, and the supermarket had signed a contract to buy eggs from another company. Le Thi Loan, deputy director of the Department of Industry and Trade in Hanoi, said her department and market managers will check the supply of chicken eggs in the market and deal with the company accordingly.